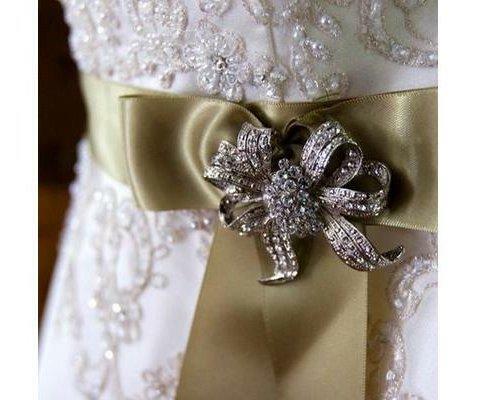 Who doesn’t like a little sparkle at a wedding. It’s your time to shine. So if you are interested in having a little sparkle at your wedding but don’t want it to be over the top, here are a few suggestions for incorporating elegant and small elements to your wedding day. Let your flower girl shine. 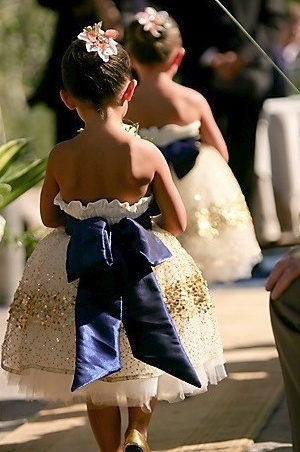 What little girl wouldn’t love to walk down the aisle in a sparkly dress just for her. Bridesmaid dresses. Start up a little envy from the crowd with these amazing bridesmaid dresses that stand out. Decoration. 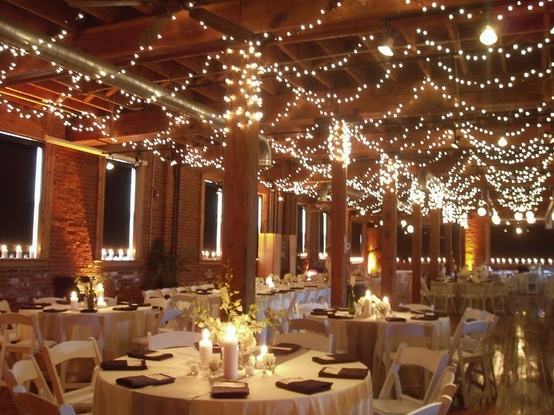 Add some twinkle to your venue with simple strands of lights. You can add as many or a few as you like. 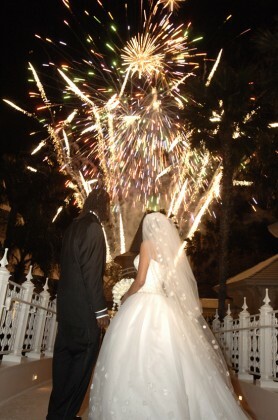 Surprise your guests with a farewell show of fireworks. It will be a treat for all ages. The brides shoes are becoming one of the many ways for her to show who she is. From sneakers to fur you can use your shoes to add a little extra to your wedding day attire. Accessories. 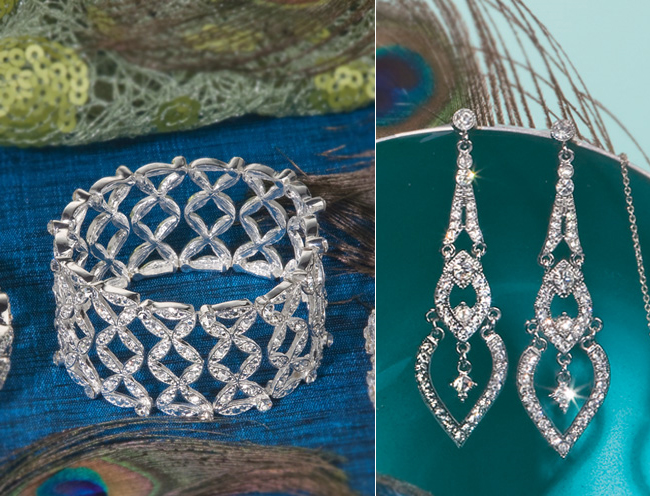 From your necklace, bracelet, hair pieces and rings add some bling by accessorizing your look. Your Bouquet. 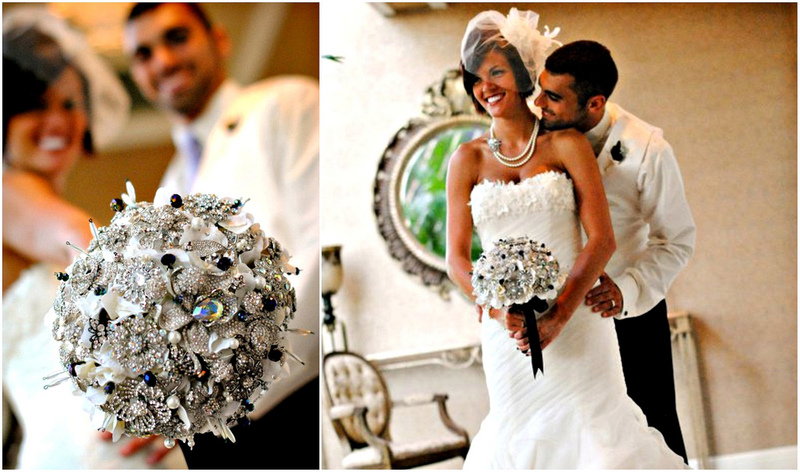 Have your entire bouquet be made out of brooches and pins or simple add a few elements to your floral arrangement. The possibilities are endless. Your nails. Get creative. You don’t have to do the usual french manicure. Why not spice it up by adding glitter to your do. 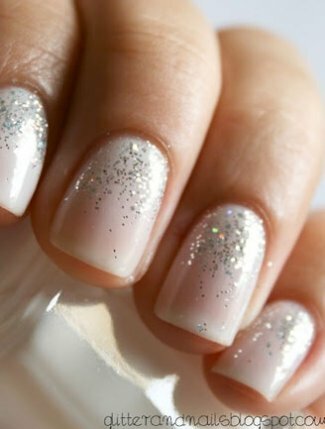 Or go with a glittered french manicure. A spin on tradition. 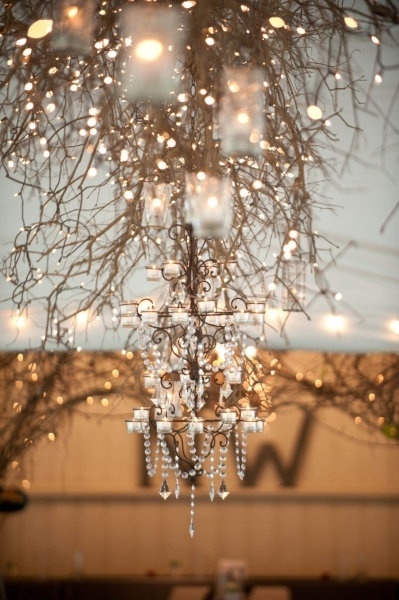 Add a chandelier or hanging candles especially in a barn or outdoor wedding. Its a great way to add a little touch of elegance to a rustic wedding. Whatever you do remember its your wedding! So have fun, be creative, and express yourself.